Founded by St. Phillip AME Church, a three-teacher school was built across and down the road from the church in 1938. Today, it is private property. 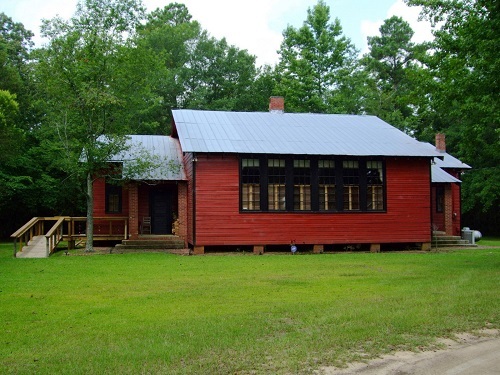 Constructed after the Rosenwald School period, it may have been built from architectural drawings by Rudolf E. Lee, a Clemson College engineering professor and head architect of the state’s Rural Extension Service. Lewis Dowdy, an Eastover native, served as teacher and principal of the school from 1941 to 1947. He went on to join the faculty of NC Agricultural and Technical State University in Greensboro and became president of the university in 1964.